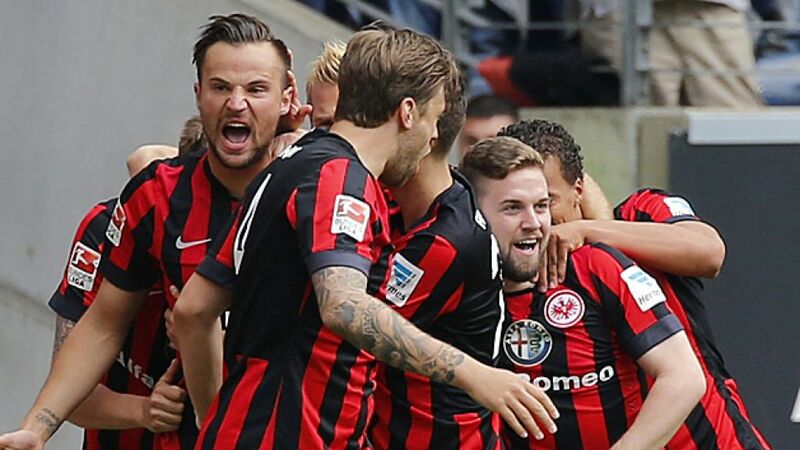 Frankfurt - Eintracht Frankfurt ended the season on a positive note after a 2-1 win over Bayer 04 Leverkusen in front of over 50,000 fans at the Commerzbank-Arena. Haris Seferovic gave the Eagles a flying start, and although a Karim Bellarabi cracker brought Leverkusen back on terms soon after, Alexander Madlung's goal was enough for all three points. There was little riding on the game for either side, but some fans had not even taken their seats when Seferovic put Frankfurt in front. Bellarabi ensured those who arrived a little late still saw a stunning goal as he let rip from 20 metres out to bring Leverkusen level soon after, but it was Frankfurt who went in ahead at the break thanks to Madlung's 39th-minute strike into the roof of the net. The pace dropped somewhat in the second half with fewer chances for either side, with Heung-Min Son going close, before Nelson Valdez nearly snatched a third for Frankfurt seconds after coming on. There were to be no more goals, but an award for the man who had netted 19 by himself this season, as Alexander Meier picked up the Torjägerkanone at the final whistle.